The first things I am tidying as I once again pick up the KonMari process are the things I have already tidied. The things whose categories are already in pretty good shape, but need some re-tidying to make sure they stay that way. Clothes came first. Next up? Stationery. I’ve talked about postcrossing and letter writing a little on this blog. I’ll be talking about it much more in the future. 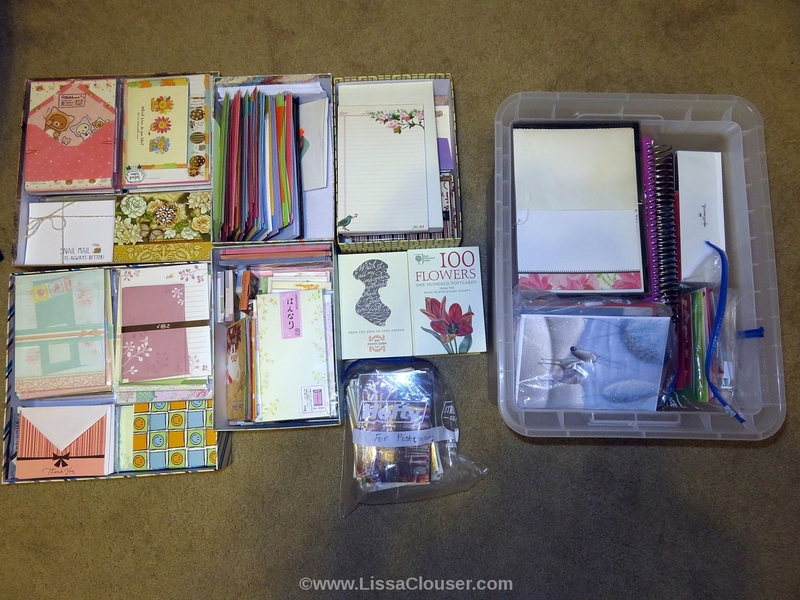 But for the purpose of this post… let’s just say I have a lot of stationery. I prefer letter sets over note cards, but I have both, in addition to stacks of loose envelopes, extra holiday/birthday cards, and even some old personalized post-it sized sheets. In fact, perhaps a picture will demonstrate better. See? Lots and lots of stationery. I’m always looking for more, but perhaps I shouldn’t look so hard for at least a little while. I wasn’t so concerned with throwing away or donating things when it came to applying the KonMari method of tidying to this category. All of this is perfectly good stationery that I love and will eventually get put to good use when it is mailed off full of words to someone else. What I did need to accomplish was finding a way to store it in an easily accessible, but pleasing way. 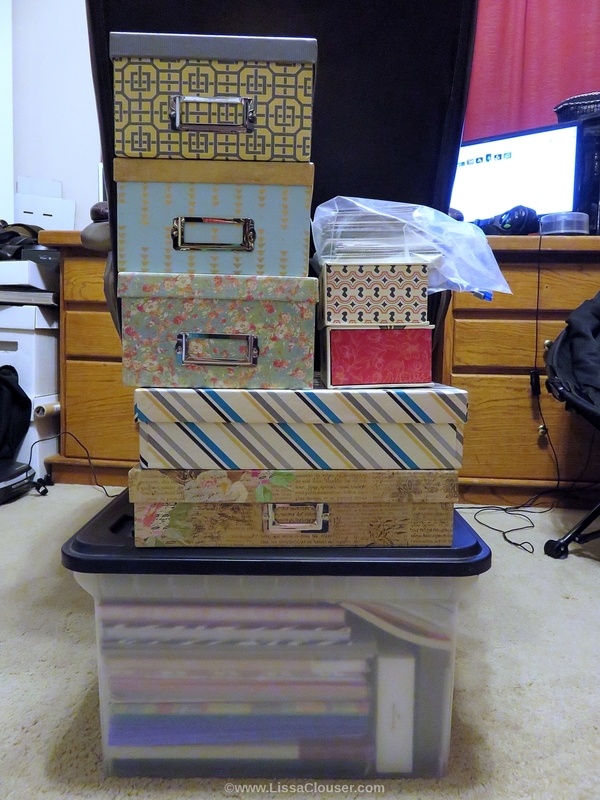 And while ‘stationery’ isn’t particularly a KonMari category (it would fall under her komono or miscellaneous category), it is something that is very contained and therefore relatively easy for me to accomplish without spending an entire afternoon or longer on the project. 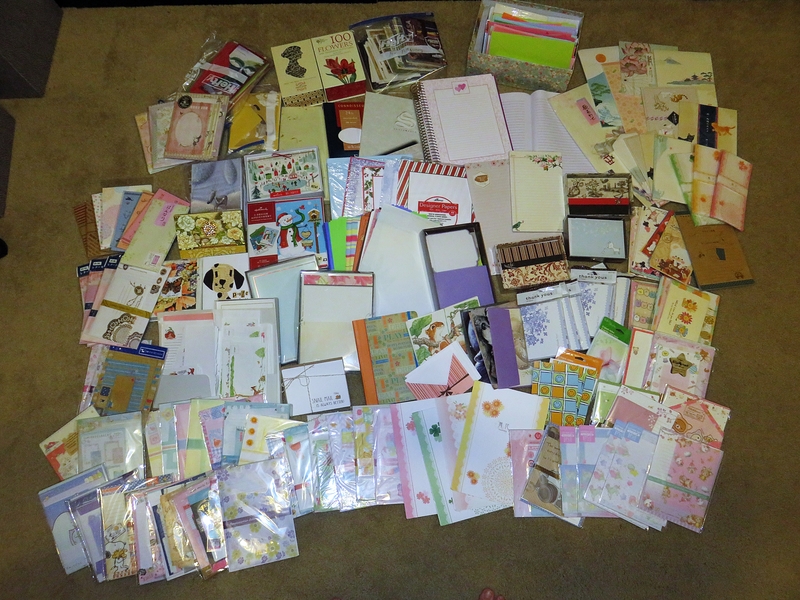 In the end I separated things out into a few sub-categories: full computer-paper-sized sheets, loose envelopes, note cards, holiday/event cards, Japanese 100-yen store stationery, and other Japanese letter sets. A rather large amount of my stationery comes from Japan where it is still easy to find everything from the very casual to the very fancy and often for reasonable prices. …then stacking those into a miniature tower, which for now lives on the floor of my office but will be moved to its proper location once more tidying has been completed. What will come next on the tidying schedule? That is a lot of stationary! WOW.